I will not use this space to publicly freak out about this. I actually really do love my birthday. I’ve got really awesome plans tomorrow that are all about me… and they do not involve cleaning or bill paying or anything else responsible I should be doing on my days off. Tonight, I get to hang out with some really awesome people, as they celebrate me. What could be better? Thursday, I got one of those little forms in my mailbox stating that I had a package waiting at the “Mail Distribution Station” that serves my area. I was SO EXCITED: someone sent me a present! That little slip of paper in my purse kept my feet dancing all day Friday. This morning (Saturday), I head off to the station, package slip in hand. Hooray! Present time! Now, let me make this very clear. A Mail Distribution Center is NOT a Post Office. And it is NOT easily accessible, and it IS kind of sketchy looking. I happily handed the woman behind the half-door (that’s all it was, no lobby, no nothin’) my slip of paper and my ID (note to self: you’ve lived in this apt for 2 years. Probably time to update the address on your ID). She goes into the depths of the mail room and returns 5 minutes later. It’s not for me. The USPS put the slip in the wrong mailbox and there is no present for me. My feet stop skipping. I know I look really sad and want to say, “But it’s my BIRTHDAY! Isn’t there anything you can give me?”. But I don’t. I simply leave all those packages for more fortunate people and get on the bus. Brain: Hey look, it’s morning! Time to get up and go to work! Yay! Morning! Body: What? Wait, what time is it? Why is it still dark? Brain: Shhhh. It’s just really early. Look, time to take a shower! Because it’s morning and time to go to work! Body: I don’t know, this feels wrong. Wait, did that say 10 pm? Brain: Oops! Soap in your eyes! Brain: Psht! It’s totally normal to be getting up for work now! You just woke up and now you’re going to work. Same old routine! Body: WHY ARE YOU DOING THIS TO ME?!?! Brain: Hey look, only a few more hours left! Almost time to leave. Body: Wait, the bus takes me home. What’s going on? THIS ISN’T THE WAY BACK TO BED!!! Brain: See, if you brush your teeth and wash your face at work, it’s just as refreshing as 6 hours of sleep! And look! Now you’re at the office! Time for work! Because I watched Supernatural. Which is about ghost hunters. Really hot ghost hunters, but it’s really hard for me to focus on that, because there were creepy little ghost children. When this show came out, I really wanted to like it because I love The Twilight Zone and loved watching The X-Files with my dad. But the truth is that it scares the crap out of me so much that I can’t make it through an episode without muting and/or changing the channel at least once. And of course the first episode I watch in years involves creepy little ghost children. Seriously. Just looking at them ensures I won’t sleep for the next two days. HOW ARE YOU SO CREEPY!?!?!?! I really regret looking that picture up on the interwebs now. Moral of this story: people with overactive imaginations should not watch scary tv at night. Especially if they live alone. 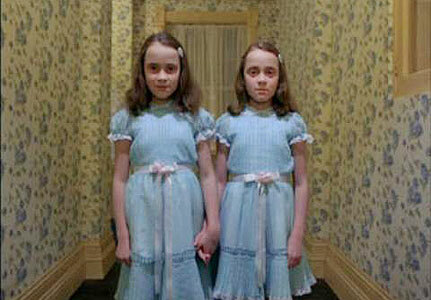 And NO ONE should watch The Shining. Or look up its pictures online. Ever. It’s so hot, my muscles melted into my mattress this morning. It’s so hot, I broke a sweat while brushing my teeth. It’s so hot, my baloney fried itself. It’s so hot, I’m pretty sure it’s making gravity stronger. It’s so hot, my ice cubes melted on the way from the kitchen to the front room. It’s so hot, the buses are breaking down. It’s so hot, the hipsters stopped wearing ironic cardigans. We’re all in this together; there’s a solidarity in our daily sardine-can experience. And it’s not that I don’t enjoy my morning and evening group cuddle with all of you. So I’m laying this all out there in the most loving way possible. 1. If you’re going to elbow your way in front of me after I’ve been standing here at the bus stop for the past 15 minutes, you’d best have your card ready. Yeah, I said card. Because if you just pushed past me in order to put quarters into the fare box one by one, I’m not going to be a happy commuter. Probably not as angry as I’ll be if I’m standing in the rain while you root around in your 50 gallon purse for your Chicago Card, though, so there’s that. 2. Sometimes, sitting in the empty seat is not about how tired and in need of a rest you might be. It’s about making more room on the bus or in the train car. See, because as long as you are standing in front of the empty seat, no one can sit in it. And a void wants to be filled. That’s just science. You don’t want to fight science, do you? 3. If you don’t like the fact that my leg is touching yours, maybe you should just go ahead and move your leg over a little. See, this is my seat, and that is yours. I highly doubt it’s absolutely necessary for you to sit with your legs that far apart. 4. Also, if you are seated in the aisle seat and I am seated in the window seat, and I need to exit our shared seating area, the easiest and least painful thing to do is for you to get up, allow me exit, and then return to the seat of your choosing. Because if you just turn to the side, or worse yet, slightly shift your legs, I will not be at all mindful of what my bag might hit as I am exiting. I know you want to do the right thing here. 5. That’s quite a large backpack you are wearing. Have you noticed that it’s taking up the space of a whole person and has also hit the seated passengers in the head multiple times? Take it off. Hold it down by your legs. See? Legs take up less room than torsos, so there’s tons of room down there! 6. When we are stopping at a major stop (e.g. anywhere you might transfer from a bus to the L, or any of the Lake St L stops in the Loop), many people are getting off the bus or train. Therefore, there is no need for all 64 of you to stand up from your seats before we even stop. Do you notice that there is nowhere for you to move to, because no one has yet gotten off? And because you can’t move, no one can move into your seat without getting to second base with you. The bus/train won’t leave before you get off, when 80% of the other riders are also getting off. And there’s only so much space here – you can’t fill an already occupied space. This is also science. 7. The pole by the door there is for people to hold onto, not for you to lean on. If you don’t like my knuckles in your back, perhaps you should stop leaning on my hand. See? Doesn’t that feel better? 8. I can see that you are very proud of your extremely long hair. But if you keep flipping it around like that when there are 700 of us packed on this bus/train, so help me I will not be held responsible for what I might do. 9. For the very last time, MOVE ALL THE WAY TO THE BACK OF THE BUS!!!!! This does not mean, “Move to the back door”. You see those steps back there? After the back door and leading to the back section of the bus? Those are magic steps. If you walk up them, we are all less crowded. It’s a miracle! And you should try it. Because there are 47 of us crammed into 10 square feet up here and I’m practically sitting on the driver’s lap. I know we can do this. I have a routine when I’m getting ready for bed – about 20 minutes before I plan on actually getting into bed, I turn the fan on in my room, brush my teeth and wash my face, and then can just go right to bed when I’m done watching my show/reading my book/playing my game, etc. Sometimes, when I go back into my room, I notice that my the white-noise button on my alarm clock has been pushed. Logically, my brain is aware that I likely automatically did this when I came in the room to turn the fan on. And yet, the (larger) illogical part of me is certain that the guy hiding in my closet has turned it on (why? I have no idea. That’s not the part I focus on). 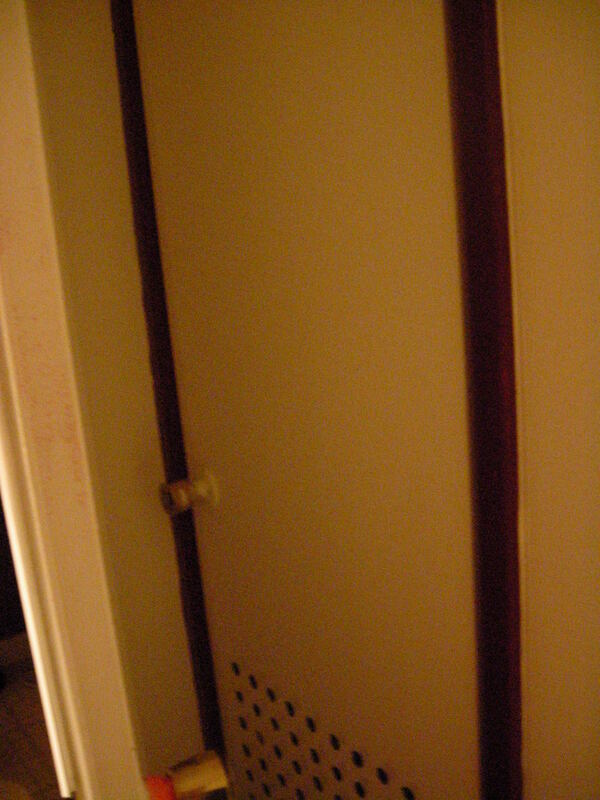 At this point, I will need to check every closet, under the bed, the pantry, the space between the oven and fridge, behind the shower curtain… all to make sure there isn’t a blood-thirsty murderer just waiting until I’m about to fall asleep (I’m sure he has his reasons for the timing) to kill me. This little nook-checking routine also happens when I don’t remember leaving a light on when I left the apt, and there is one on when I come home. Because obviously, the ax murderer turned the light on while hanging out waiting to hear my key in the lock, before jumping into position in the furnace-closet. Unfortunately, adding to my paranoia, I also have a tendency to watch crime shows and scary movies. Alone. At night. And then try to go to bed. You know how when you hear a noise and you hold your breath and hold perfectly still? Why? 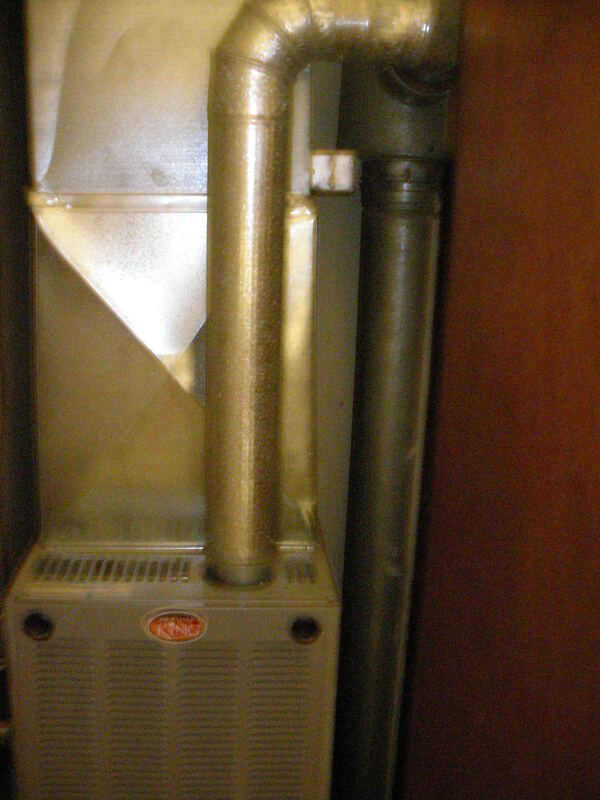 Do I really think the ax murderer, who has obviously gone through the trouble of breaking into my apt hours before I get home, hiding in the furnace closet, and waiting until I turn out all the lights, is going to be so fooled by the fact that I am holding perfectly still that he won’t see me? When I lived near my parents, there were nights where my loving father would drive his truck up to my house, park it in the yard so the headlights would shine around the corner, and go through my entire house, checking closets and turning on lights. My name is Mairin. I’m almost 30 years old and I’m afraid of things that go BUMP in the night. I’m kind of a hypochondriac. I know this about myself, so I try not to jump to conclusions about my health without doing extensive research on the internet. Specifically WebMD. WebMD must be the bane of the existence of all doctors, everywhere. There was the time where I noticed what appeared to be large bruises on the backs of my legs.. WebMD told me that I probably had blood clots or a rare blood disease. Because of medications I take and various legit, relatively minor, medical issues I have, I immediately called my cardiologist’s office. The bruising seemed to get worse throughout the day, and the nurse told me I should probably get in to a regular physician right away, and then call them to see if I needed to follow up. I went in to the doctor’s office the very next day, completely freaked out and sure I was dying, afraid to move on the bus because I might dislodge the blood clot and have a stroke or whatever it is you get with dislodged blood clots. It was burns. I gave myself 1st degree burns by creating a tent with a blanket over my legs (did I mention it was during the winter and I keep my heat at 55 to save on the gas bill?) and accidently allowing the space heater to blow under the blanket… I cooked my freaking legs. My cardiologist is lovely and did not call me a moron when I saw her a month later. That’s why I keep going to her… that and she keeps me from passing out randomly and embarassingly, but that’s another story for another time. I’ve convinced myself that I’m having a heart attack because WebMD says that tingly feeling in my hand is a symptom of a heart attack. It’s also a symptom of using the mouse too much at work, but obviously that’s not’s what’s wrong with me. A feeling like heartburn is indicative of heart attacks in women, too. You know what else it’s indicative of? Eating a burrito and then laying down on the couch (aka, heartburn). Did you know excessive burping can be a sign of stomach cancer? (also, it is a sign of drinking a beer too quickly). But probably, I have stomach cancer. Major headache? Probably not due to my stressful job (or my stressful unemployment, depending on when we’re talkin’ here), but probably having a brain aneurysm. Or a stroke. Extreme fatigue? I’m sure it’s not because I don’t go to sleep ever… WebMD says it could be lupus! Currently, WebMD says I have colon cancer. It might also be the rice and beans I’ve eaten for the past two days… But probably it’s colon cancer. If there are no more posts this week, it’s because I’ve died of lupus/cancer/heart attack. It’s been nice knowing you. I decided to make some brownies today. To celebrate the 4th of July… and the fact that I really wanted brownies. 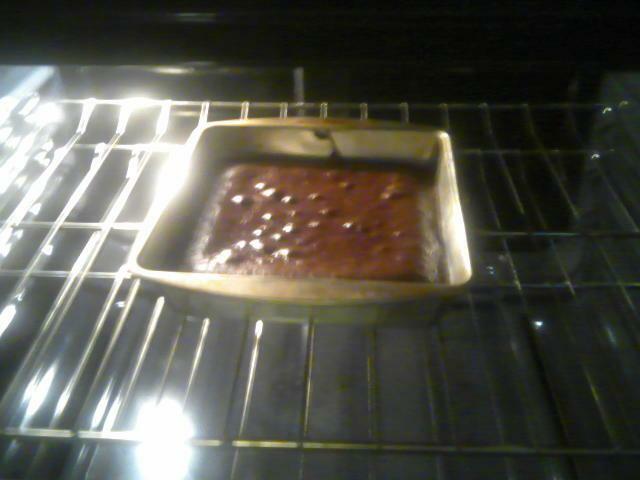 All I have to do is mix one yogurt cup in with the brownie mix and put it in the oven. As I was pouring it into the pan, I thought to myself, “man, it really is weird that I’m not supposed to grease the pan before pouring this mix in here… I feel like it’s going to really stick to the pan here”. Wait. Read the directions, Mairin. Step 1: Preheat oven. Step 2: spray pan with cooking spray. Two choices here, leave the batter in the pan and just eat the finished product with a spoon to scrape it out, or scrape brownie mix back into the bowl, rinse out the pan, spray, refill, and put in oven. I went with option 2. And ended up with brownie mix on a lot of things other than the pan and the bowl. Apparently, it’s important to read all the directions.